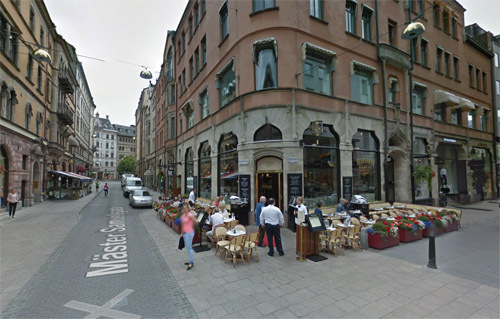 Wiener Caféet is located at the corner of Biblioteksgatan and Mäster Samuelsgatan on Östermalm in Stockholm. Wiener Caféet was started in 1904 and has an over 100 year old history with historic roots towards Wien and Paris. A huge renovation in 2013 resulted in the new name, Wiener Caféet anno 1904, and this new name should reflex the feeling of the previous century. 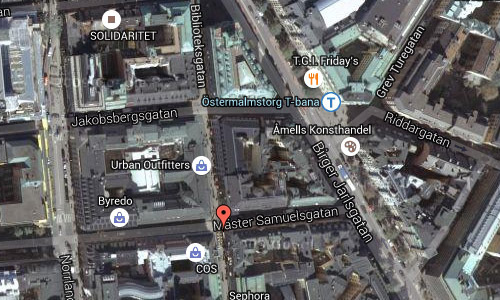 Mäster Samuelsgatan is a street in Norrmalm in Stockholm. 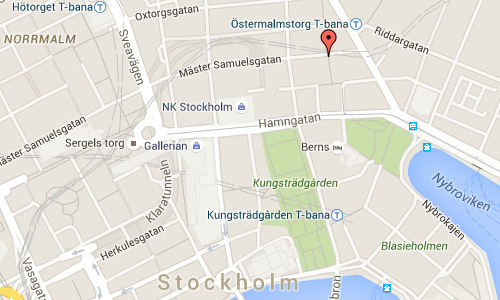 It runs from the Birger Jarlsgatan towards Vasagatan and is approx 1 000 meter. 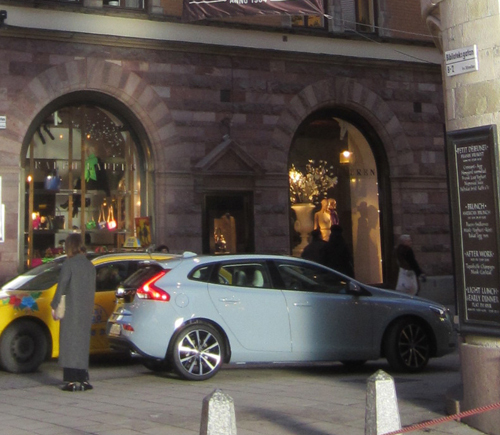 Biblioteksgatan (Swedish for “Library Street”) is a street in Norrmalm in central Stockholm. The street starts out as a pedestrian street at Norrmalmstorg until it passes Stureplan, whereafter it continues towards Humlegården and the Royal Library. 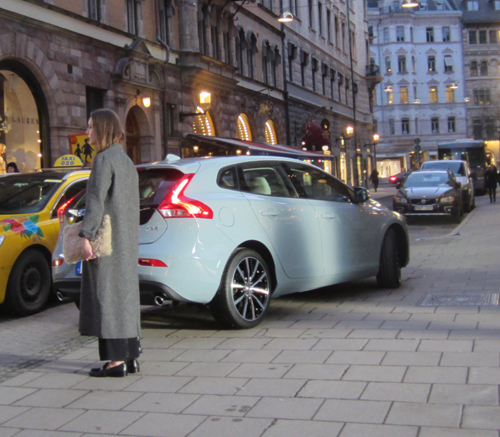 The street is a well-known shopping street with many luxurious brand stores and some of the highest rent levels for retail in Stockholm. 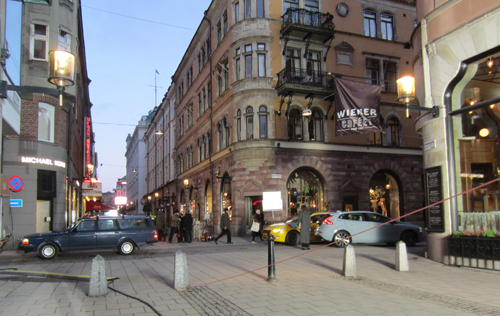 In 2010 the dominant real estate owner of the area, Hufvudstaden, launched an effort to incorporate the streets crossing Biblioteksgatan in a larger shopping district they want to call Bibliotekstan (“Library Town”). 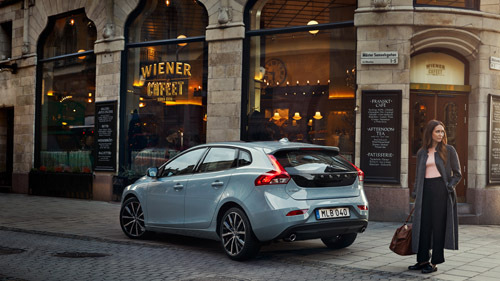 The concept is influenced by a similar campaign in London to expand the shopping street Carnaby Street into a “Carnaby Village”. 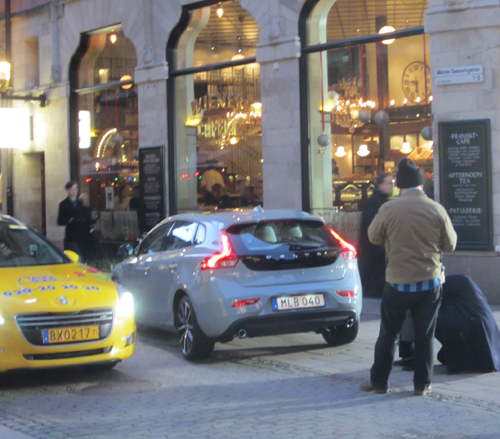 One morning on my way to work, I passed the live shooting of this Volvo ad. 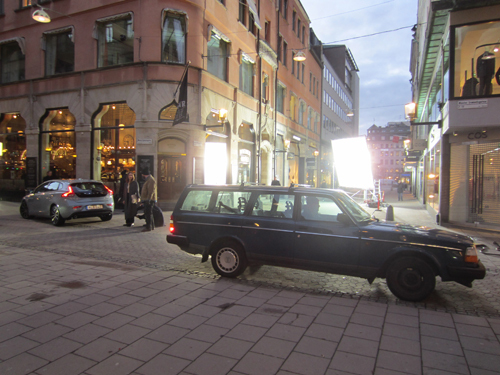 Great to see how the crew works with the set, light and location. 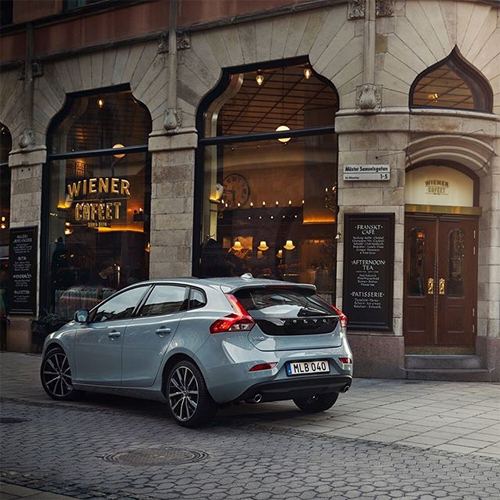 More information at wienercafeet.com, www.svd.se/wienercafee and www.fb.se and www.volvocars.com.